Magnums are fun because they inspire so many reactions from people and they are all unique. Some people conjure up thoughts of Dirty Harry while others only think of recoil. Some others yet, like me, start theorizing what big-game animals we could potentially hunt. 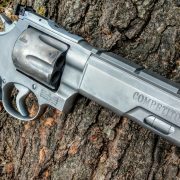 Regardless of the camp you fall in, a good magnum revolver will […] Read More … The post TFB Review: Smith & Wesson Performance Center 629 Competitor .44 Magnum appeared first on The Firearm Blog. 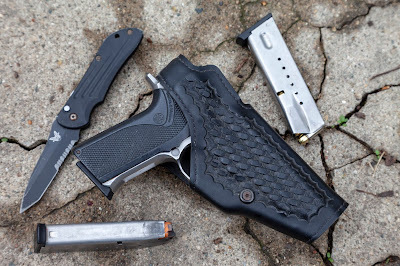 In this Range Rental Report, Brannon LeBouef from the St Bernard Indoor Shooting Center and NOLATAC Training goes through the maintenance and breakage of three different Smith and Wesson M&P first generation guns based on their usage as range rentals over the last 5 years. 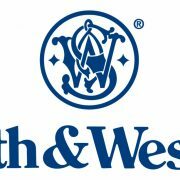 The three pistols have a combined total of over 50K […] Read More … The post Is the Smith & Wesson M&P Durable? | M&P 1.0 Range Rental Report appeared first on The Firearm Blog. 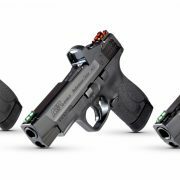 Smith & Wesson’s M&P Shield M2.0 gets the Performance Center treatment expanding their range of upgraded Shield 2.0s with nine new configurations. Introducing a 4-inch barrel on a compact frame variant and models with ported barrels and slides cut for mounting red dot sights. Here’s what Smith & Wesson have to say about the new […] Read More … The post S&W Performance Center Launches Red Dot-Equipped M&P Shield M2.0 with 4-Inch Barrel appeared first on The Firearm Blog. Smith & Wesson has brought back their Model 610 10mm revolver to the delight of many wheelgun aficionados and fanboys of the “best millimeter” cartridge! It is available in either a 4″ or 6.5″ barrel for hunters, personal protection or general range fun. 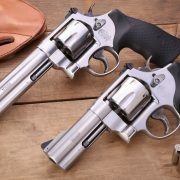 These revolvers should be shipping to firearm retailers at the time of […] Read More … The post NEW Smith & Wesson Model 610 10mm Wheelgun Goodness appeared first on The Firearm Blog. This was one of the most interesting Reader’s Choice polls we have conducted thus far! The voting results we received were close, but simultaneously the victor won by a landslide. The diversity of suggestions from you, our beloved readers, was very impressive as well. 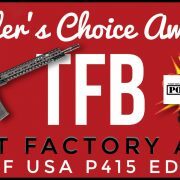 The thing that was consistent across the board is the caliber: […] Read More … The post Reader’s Choice BEST AR-15: POF P415 Edge 5.56 NATO appeared first on The Firearm Blog. In this episode of TFBTV, James reviews Smith & Wesson’s MHS competitor, the M&P 2.0 5 inch model. From S&W’s press materials: The M&P M2.0 pistol, the newest innovation to the respected M&P polymer pistol line. Designed for personal, sporting, and professional use, the M&P M2.0 delivers an entirely new platform, introducing innovative features in […] Read More … The post TFBTV | S&W’s Military Pistol: The M&P M2.0 5″ Review appeared first on The Firearm Blog. 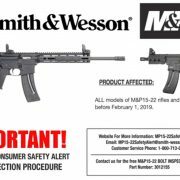 Smith and Wesson just issued a safety alert regarding recent production M&P 15-22 rifles and pistols. According to the safety alert some M&P 15-22 bolts may be out of spec. They have issued a PDF and a video to help you find out if your M&P 15-22 is affected. The safety alert applies to ALL […] Read More … The post S&W Safety Alert: M&P 15-22 Needs Inspection appeared first on The Firearm Blog. It is March, and we all know what that means… you need to grab a green beer, pretend to be Irish (if you already are not), turn on some March Madness college basketball, and get those taxes filed. 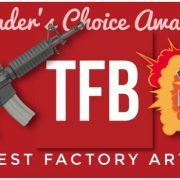 To most of us, if you actually get money back from your taxes it is not a […] Read More … The post Reader’s Choice: Best AR-15 (Stock or Factory Model) appeared first on The Firearm Blog. 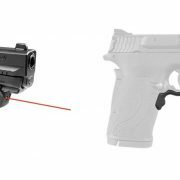 Crimson Trace have announced the launch of a Laserguard for Smith & Wesson’s MP Shield EZ. The new addition to the Laserguard line will be available with red and green lasers. Here’s what Crimson Trace have to say about the new laser: Crimson Trace®, America’s recognized leading brand of laser sights, today announced that it […] Read More … The post Crimson Trace Introduce Laserguard for S&W M&P Shield EZ appeared first on The Firearm Blog.